The debate about whether it's appropriate and safe to treat attention deficit hyperactivity disorder (ADHD) is the psychiatry equivalent of the childhood vaccine debate in pediatrics. In both cases, the science is abundant and clear: vaccines and ADHD treatments are safe and effective. The debate about whether it's appropriate and safe to treat attention deficit hyperactivity disorder (ADHD) is the psychiatry equivalent of the childhood vaccine debate in pediatrics. In both cases, the science is abundant and clear: vaccines and ADHD treatments are safe and effective. Yet there continues to be a heated debate regarding both issues, with many holding strong and unyielding opinions. Most educated and thoughtful individuals believe they should vaccinate their children. But there are also educated and thoughtful people that, for reasons that defy logic and common sense, still question the need to vaccinate their children. Some refuse vaccination, putting their child and other children at risk. Self-appointed vaccine experts insist that vaccination is wrong, dangerous and unnecessary. They quote discredited research and disgraced researchers, perhaps in an attempt to explain their own child's autism. Anti-vaccinators say illnesses like measles and polio are no longer a risk, without considering why: because we have vaccinations! Most people alive today don't remember their classmates developing polio. Why anyone would listen to these anti-science hysterics and risk any child's life is frightening and bewildering to most physicians. To be perfectly clear -- there is ZERO evidence that vaccinations are in any way associated with autism. The decision to vaccinate a child or to treat ADHD have personal but also societal implications. Most unvaccinated children won't get sick or die due to a preventable illness, but some will. And un-vaccinated children who get ill may infect children who can't be vaccinated due to their age or illness (e.g. children with cancer), putting them at risk for death or disability. That's a societal issue. ADHD is a neuro-developmental disorder that affects five to seven per cent of children. It was once considered a childhood disorder, but we now know up to 65 per cent continue to experience symptoms and functional impairment into adulthood. It is the most "genetic" psychiatric disorder, even more so than schizophrenia, with heritability on par with height. The ADHD diagnosis requires symptoms from one or more symptom groups: inattention, hyperactivity and impulsivity, but also functional impairment at home, school or work. As children age, hyperactivity often becomes less impairing, but inattention tends to persist and cause considerable impairment. He reflected bitterly on what he thought of as "the lost years" before treatment. "I was always in trouble. The teachers hated me. I didn't have friends. I felt stupid and everyone agreed." Children with ADHD are no less intelligent that those without, but "not performing to their potential" is a common refrain on school reports. Inattentive kids are forgetful, lose their belongings and fail to complete tasks. The can't focus on topics or activities they find boring, which is why ADHD was once called "the math disorder." There are very few accountants who have ADHD! Hyperactive kids are disruptive; they can't sit still or work and play cooperatively. They're a handful even for the most patient parent or teacher. Impulsive kids can't wait their turn, they're intrusive and they have more serious accidents. Children with ADHD struggle to make and keep friends. 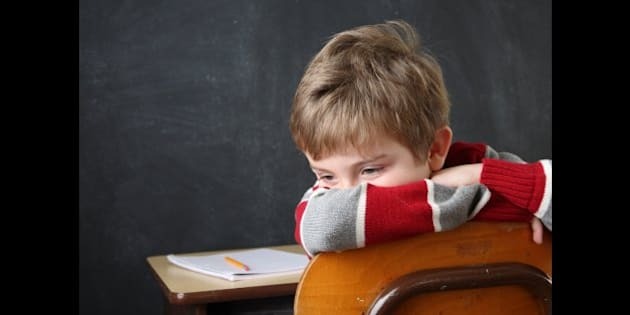 ADHD negatively impacts self-esteem and may ultimately hinder the child's success in adult life. Compared with their peers without ADHD, adolescents with untreated ADHD are less likely to complete high school or post-secondary education, more likely to abuse substances, have more driving infractions and accidents, and are more likely to have an unwanted pregnancy or a sexually transmitted disease. As adults, they are more likely to be incarcerated, divorce and cause a fatal car accident. Those are costly personal and societal issues. Not every person with ADHD requires medication. Behavioural therapy and education about ADHD are considered first-line treatments. Many benefit from accommodations at school, like more time to complete assignments. Adults sometimes adapt by choosing work that suits their abilities. If skills building and support are insufficient, there are safe medications that are amongst the most effective treatments we have in medicine. Most of these treatments have been used for more than 70 years. For many with ADHD, medication is life-changing for their entire family. Michael was diagnosed with ADHD in grade 6. Intelligent but constantly in trouble, he was intrusive and annoyed his classmates and teachers. He loved being read to but couldn't read for pleasure, no matter how hard he tried. Homework was a nightmare for Michael and his parents. Fear of side effects does not justify not exploring the value of treatment for a child. What is the damage done to the child and society by not treating ADHD? He reflects on his experience with treatment with mixed emotions. "My barely-Bs and Cs became As. For the first time, I felt like a smart kid. I could read Harry Potter." Yet he reflected bitterly on what he thought of as "the lost years" before treatment. "I was always in trouble. The teachers hated me. I didn't have friends. I felt stupid and everyone agreed." Some will argue that ADHD is nothing more than a normal variant of childhood behaviour. Yet there is an abundance of research evidence that ADHD is a brain disorder. There are well-replicated brain structure and size differences found in children and adults. These changes are diffuse, and the symptoms of ADHD are a clear reflection of those affected brain regions. A notable area of functional impairment is the pre-frontal cortex (PFC), known as the brain's executive, which is important for organizing, planning, forward thinking and critical thinking. Not surprisingly, in ADHD the PFC is slow to develop and functions less effectively. Despite the mountains of evidence and 70+ years of treatment experience, there are those who doubt ADHD exists. Others believe treating ADHD is tantamount to child abuse. Treatment for any disorder comes with risks, and each individual (or their parent) must weight those risks with potential benefits. The vaccination debate is clear: horrible diseases were nearly eradicated. Now we have outbreaks and the deaths of vulnerable children. I believe the ADHD debate is equally clear: this is a brain disorder that impacts a child's development and achievement and negatively impacts society. It's worth diagnosing and treating because no child should have to suffer "the lost years."